Big fan of: His friends! Wolverine is very affectionate with people he knows. He has plenty of energy and benefits from daily exercise. 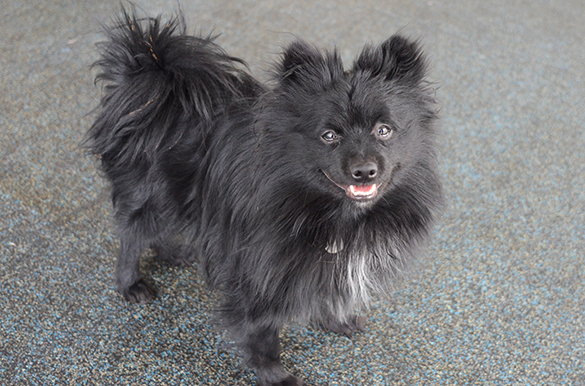 Wolverine is interested in meeting other dogs, but should get to know them on a one-on-one basis first. Not a fan of: Strangers. It will take time and patience for Wolverine to warm up to new people. When he’s left alone, he may cry and bark. Our Behavior team can give you some tips to help curb this behavior, but Wolverine would do best in a home where he’s not left alone for long periods of time. Special features: With guidance and supervision in his new home, Wolverine will learn to use the bathroom outside. His beautiful coat requires regular brushing and grooming. 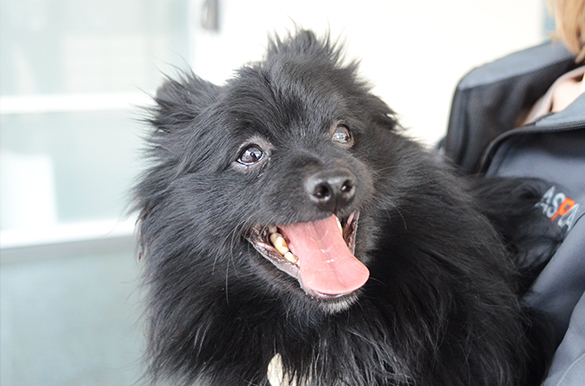 Dream home: This little guy would like to join a home with an adopter with some dog experience. He’d do best in a home with teens-and-up.